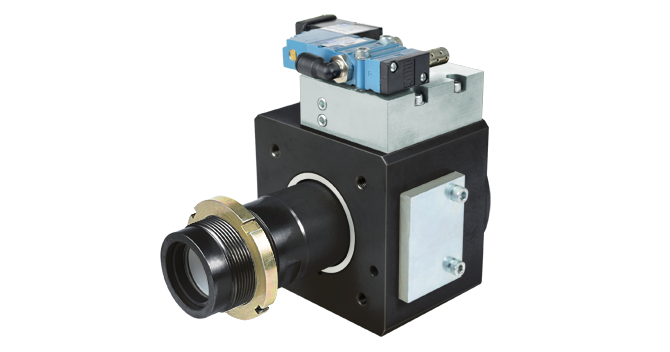 PHD, Inc., a leading manufacturer of industrial automation solutions, is pleased to release the Series BCZUS Universal Nozzle Cylinder for the plastic bottle blowing industry. The new Series BCZUS Cylinder expands our proven series of Sidel® solutions. Series BCZUS Universal Nozzle Cylinders are direct replacements for Sidel® Universal Cold Set Machines. These cylinders mount into the same space and bolt patterns, provide significantly longer service life, and reduce maintenance and downtime in stretch blow molding applications. Units are field repairable and feature improved geometry over OEM units to reduce component fatigue. For more information and to download/order catalogs, visit www.phdinc.com. For assistance, call (800) 624-8511. 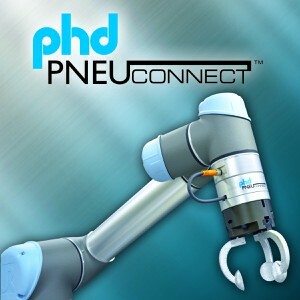 For more information contact PHD, Inc.
For more information send an inquiry directly to PHD, Inc.
PHD offers an extensive line of standard pneumatic actuators that are known for long life and high quality. 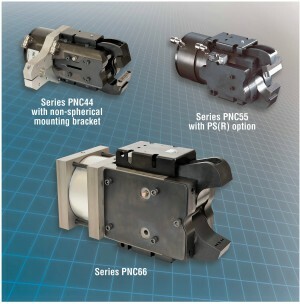 Over the 55 years of innovation, PHD has extended their product offerings to include built-to-need components, price alternative components, electric actuators, specialty workholding clamps, and motion control robots. From single actuator solutions, to multi-unit systems, PHD and Yamaha Robotics can provide total solution flexibility for practically any application requirement. Major PLC manufacturers, with the introduction of tag-based PLCs, have opened their arms to third party integration by adding the ability for vendors to create control function blocks called Add-On Instructions, or AOIs. AOIs allow third party vendors to create control or function blocks that are imported into the PLC. Read this white paper to discover how providing a new method to write sequence logic inside the PLC as ladder logic provides flexibility to the automation software engineers. 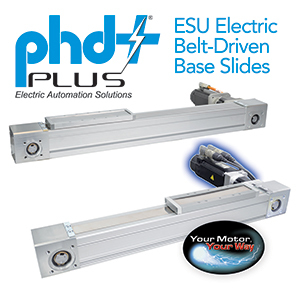 PHD, Inc., a leading manufacturer of industrial automation solutions, is pleased to release the PHD Plus® Series ECP Electric IP69K Cylinder. 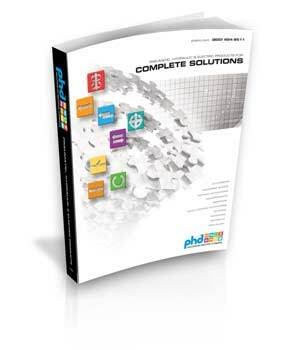 PHD, Inc., a leading manufacturer of industrial automation actuators, is pleased to announce the release of their new product catalog, available in a traditional printed version and on the PHD website.